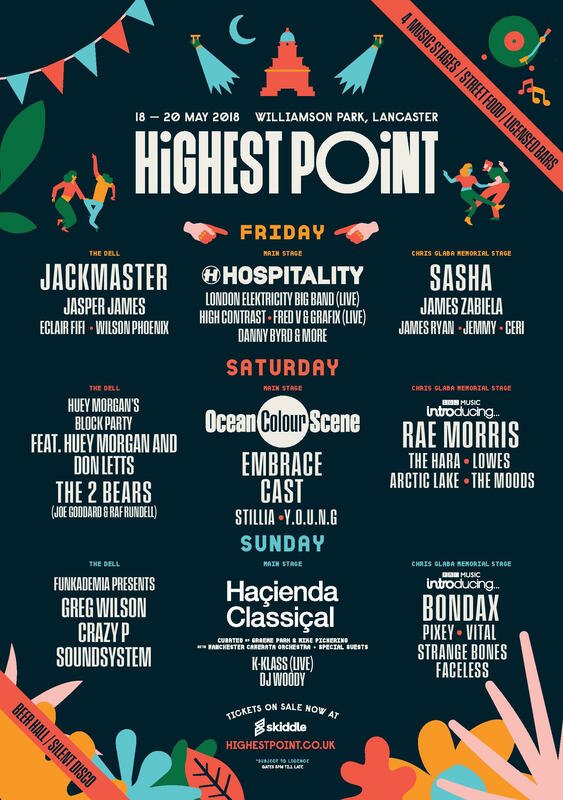 Lancaster’s Williamson Park will be the home of a brand new music festival called Highest Point, organised by the team responsible for Haçienda Classical’s sold out show there back in 2016. Taking place from Friday 18th – Sunday 20th May, Highest Point Festival will be surely be a welcome break from revision and the stress of exams. On Friday 18th May, the festival’s main stage, located at the foot of the Ashton Memorial, will be taken over by the iconic Drum and Bass label Hospital Records, with High Contrast, Fred V & Grafix, Danny Byrd, Etherwood B2B Keeno, Spy B2B Nu:Tone, Dynamite MC, Lowqui and Tempza all taking to the stage. But the stars of the show on the Friday are the London Elektricity Big Band. Highest Point will be their first gig north of Birmingham and will incorporate a 22-piece brass band and vocalists. It’s sure to be an energetic and exhilarating performance! The festival’s second largest stage, the Chris Glaba Memorial stage, will see Grammy Award nominee, four-time International Dance Music Award winner and four time DJ Mag award winner, Sasha take to the stage. He will be supported by James Zabiela, James Ryan, Jemmy and Ceri. The Dell will be a unique stage nestled away in the woods, where Glaswegian party starters Jackmaster and Jasper James will take to the stage, along with Wilson Phoenix and NTS Radio star Eclair Fifi. On Saturday 19th May, the legendary Ocean Colour Scene will headline the main stage and no doubt create the biggest singalong moments of the festival with their hits such as ‘The Riverboat Song’, ‘Sway’ and ‘The Day We Caught The Train’. They’ll be joined by Embrace, Cast, Stillia and Y.O.U.N.G who will build up the hype throughout the day. Sean McGinty has curated the line-up on the Chris Glaba Memorial Stage for Saturday, and he’s made the excellent choice of picking Rae Morris to headline the stage, following the release of her stunning sophomore album Someone Out There. Earlier in the day, she’ll be supported by The Hara, Lowes, Arctic Lake and The Moods, with even more artists yet to be announced. Late on Saturday night, The Dell stage will be exploding with tunes from Huey Morgan’s Block Party, with a little help from BBC 6 Music’s Don Letts and The 2 Bears (Joe Goddard & Raf Rundell) who will keep the party going into the early hours of Sunday morning. On Sunday 20th May, festival goers will witness the return of Haçienda Classical. Curated by Graeme Park and Mike Pickering, they’re set to perform a plethora of dance hits with a classical twist. They’ll be joined by the Manchester Camerata orchestra, K Klass (live) and DMC world champion DJ Woody. Sean McGinty is set to also curate the Sunday line-up of the Chris Glaba Memorial Stage, with Lancaster’s own Bondax performing alongside Pixey, Vital and Faceless, with more to be announced. The Dell will host Manchester’s longest running club night Funkademia on Sunday night, with the Crazy P Soundsystem and electro-funk DJ Greg Wilson, who was recently awarded with DJ Mag’s ‘Industry Icon’ Award at The Best Of British Awards. 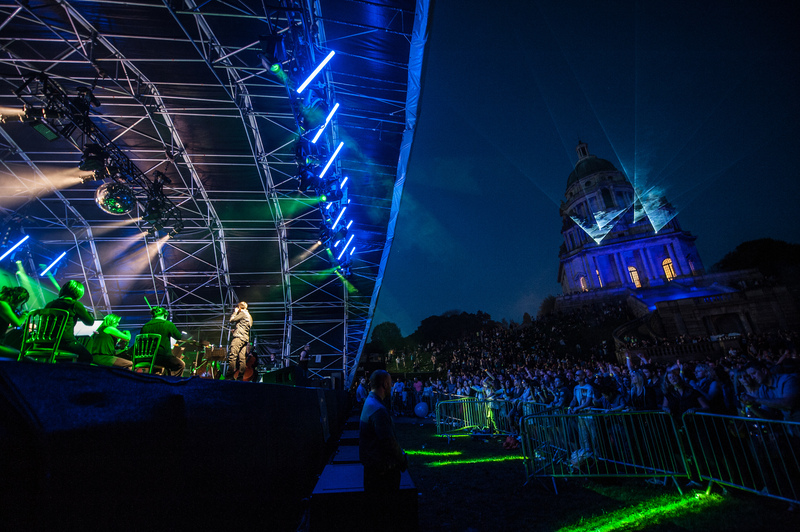 On the whole, Highest Point is set to bring an eclectic mix of new music and dance classics to Williamson Park, with something to suit everyone. Tickets are priced at £110.25 for the full weekend, and day tickets are £44. Head to highestpoint.co.uk for more information and keep an eye out for our ticket giveaway over the next few weeks!